People get mad at people. That makes sense. People disagree, change their minds, make mistakes, have irrational whims and do a thousand things more that make them human. It is ok to be mad with somebody for any of these reasons. But quite often we get mad not at people but at things. Inanimate things. As in non-human things. Have you ever gotten mad at your computer? Perhaps you are working on something important and all of a sudden the machine freezes up. Or the screen starts shutting off and then back on –an incredibly annoying situation I experienced myself recently- or the word processor is set on making you write “taxidermy” instead of “taxi”. At least for a brief moment, don’t you get angry at the motionless, soulless piece of equipment? Don’t you feel like channeling Michael Douglas in Falling Down and let the machine have it with a baseball bat? Or when you are driving your car with a clear destination in mind, maybe even pressed for time, and suddenly and for no reason at all the car just dies and some weird never-before-seen light starts flashing on the dashboard; If only for a second, haven’t you ever gotten really mad at the vehicle? Like it was doing it on purpose just to mess with you? And yet one more example: When you are on your way to work and realize the subways are down, the line at the bus stop is half a block long, the streets are flooded with heavy traffic and all of a sudden it starts raining: Have you ever thought of the city conspiring against you, coming up with all of these schemes to make you late for work? Why is it that we get mad at things? And not all things because you don’t get mad at a screwdriver if the tip is too worn out to loose a screw or a T-shirt that lost its colors after two washes or an old tree that has fallen over your car. You get mad at things that are complex enough as to escape your understanding. Things that are complex enough as to hide their logic from you. As inhabitants of a modern society we are surrounded by complex things: computers, cars, circuits and networks of all kinds, the cities themselves, you name it. Sure, you can drive a car or use a computer but most of us don’t really know how these things work. Not necessarily because of a lack of intelligence but more possibly because of a lack of interest or time to learn about these things. Our limited comprehension of its mechanics is enough to use them but we don’t have a clue of what goes on under the hood or behind the screen. We never get mad at a defective T-shirt because its shortcoming is obvious and understandable to us: The fabric or the inks used where of poor quality. We never get mad at the old tree because we understand that its wood was too rotten to support its weight any longer and we never get mad at the screwdriver because we understand the basic principles that make it work: we understand the screwdriver’s tip is worn out and it fails to function properly because of that. We might even get mad at the company that built the screwdriver for their poor craftsmanship but never at the screwdriver itself. When this happens with a computer we don’t get mad at Intel. We get mad at the computer itself, don’t we? 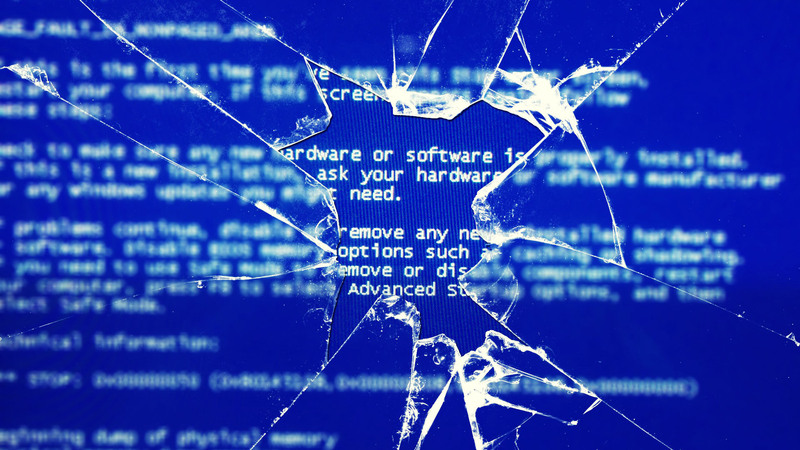 A computer technician never gets mad at a broken computer unless the problem proves too complex for him. A mechanic never gets mad at the broken car unless he can’t find out what is wrong with it. Just like Homer Simpson, we get mad at the things that present us with problems that are over our heads. That is why we get mad at the computer when it breaks down: Out of sheer frustration we become enraged at an inanimate object simply because we can’t fathom its workings. We –unconsciously- attribute its mechanical shortcomings to a whim, which is a very human characteristic (the whim itself, not the act of attributing a whim to something.). Flaws and whims are two of the biggest trademarks of human behavior and almost every single time we get mad at an object it’s because it’s displaying at least one of these two characteristics. A computer doesn’t have whims. But is complex enough as to hide its logic from you and therefore make it seem as if sometimes it does things that make no sense at all. And THAT makes you mad. The funny thing about this is how in the same way we mystify the things we fail to explain through logic we humanize the things that act in unpredictable ways. So, in the end, people do get mad at people. Or whatever reminds them of people. I hit my knee on the corner of the bed and get mad at corner, But i really dont think i’m anthropomorphising the corner of the bed. I think i’m more angry at the situation i’m in, and the fact i have no control over it- like losing your keys and not having the mental capacity to remember where you put them. I think it’s just that we expect things, of things, of others and especially of ourselves, and when we don’t get what we expect, we throw a tantrum. And i think that the purpose of this tantrum is something primitive, like a drive, that sets off so that we may amend a situation more suited to the situation we’d like to be in. But i think this is just more speculation, as there are most certainly many factors that influence frustration. I agree 100% with your perspective. But as I said, you don´t “humanize” the simple things but rather, complex things. The corner of the bed, like the fallen tree, the worn out screw-driver or the t-shirt are simple structures that don´t hold any mysteries as to their structure and their workings. In those cases your reaction is exactly as you -very aptly- described. When you hit your fingernail with a hammer you get mad at the situation. When you are finishing a paper on the computer and the system freezes you get mad at the computer. Both reactions are primitive drives, as you said. The difference -I believe- lies on you ability to find a logical explanation to the situation. If you succeed, you get mad at yourself for not being able to anticipate. If you fail, you get mad at the object for acting randomly, as if it was a human whim. I get mad at the wind when I’m studying outside and it blows at my papers 😉 I am not the sort of person who gets angry or upset easily, either– but when I am intent on my work and making good progress and then my index cards go flying off the table, for a brief moment I am so mad at the breeze, at the movement of gas from high to low pressure. I’m not here to say that this theory is incorrect (I like it a lot), just making an observation. It is entirely likely that I’ve read too much Greek mythology and have anthromorphized the wind. I was just searching for this info for some time. After 6 hours of continuous Googleing, finally I got it in your web site. I wonder what’s the lack of Google strategy that don’t rank this kind of informative sites in top of the list. Usually the top sites are full of garbage. I just added this webpage to my feed reader, excellent stuff. Can’t get enough! Thank you, I have recently been seeking for information about this subject for ages and yours is the best I have discovered so far. Iâ€™ll immediately seize your rss feed as I can not in finding your email subscription link or e-newsletter service. Do you’ve any? Please permit me know in order that I may just subscribe. Thanks. Its superb as your other content : D, value it for placing up. “Reason will be the substance of the universe. The design of the world is completely rational.” by Georg Wilhelm Friedrich Hegel…. I just want to say I am just beginner to weblog and certainly liked this blog site. Probably I’m likely to bookmark your blog post . You really come with perfect well written articles. Appreciate it for sharing with us your blog site.